1) Click a character and select Dialog in the toolbar. 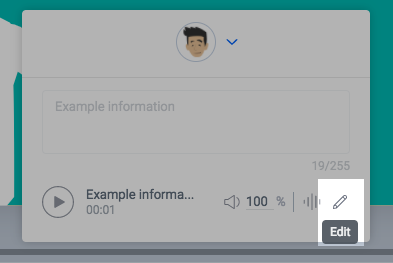 2) The audio panel opens after selecting Dialog - click the Microphone to add audio and select Text-to-Speech. 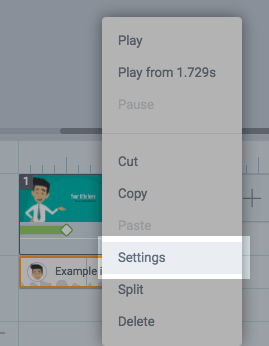 3) Click on the language in the modal and select a new language from the menu. 4) Click away outside of the menu to save, or click the robot symbol to regenerate the clip. 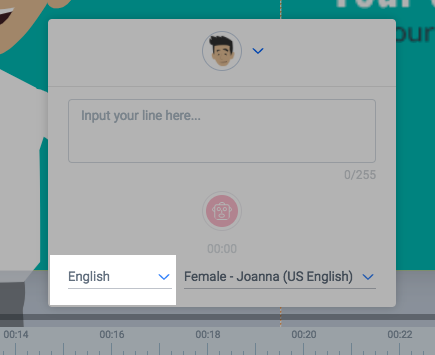 1) Right click on the text-to-speech clip in the timeline and select Settings. 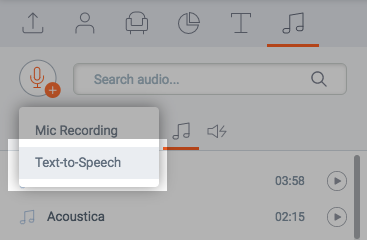 2) Click the Edit icon in the text-to-speech modal.